My sister Rachel gave us a really sweet book for Christmas called Florentine and Pig. 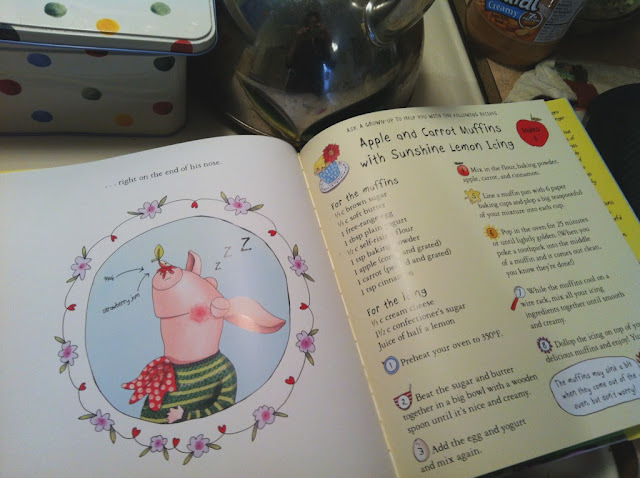 It is about a little girl and her pig and their adventure to find some apples to make muffins for their picnic. The illustrations are so lovely and delightful. The book really encourages families to cook together and there are recipes for some of Florentine and Pig's picnic fare in the back of the book. Samuel and I made the carrot and apple muffins and it was such a fun project to do. Plus they were delicious! 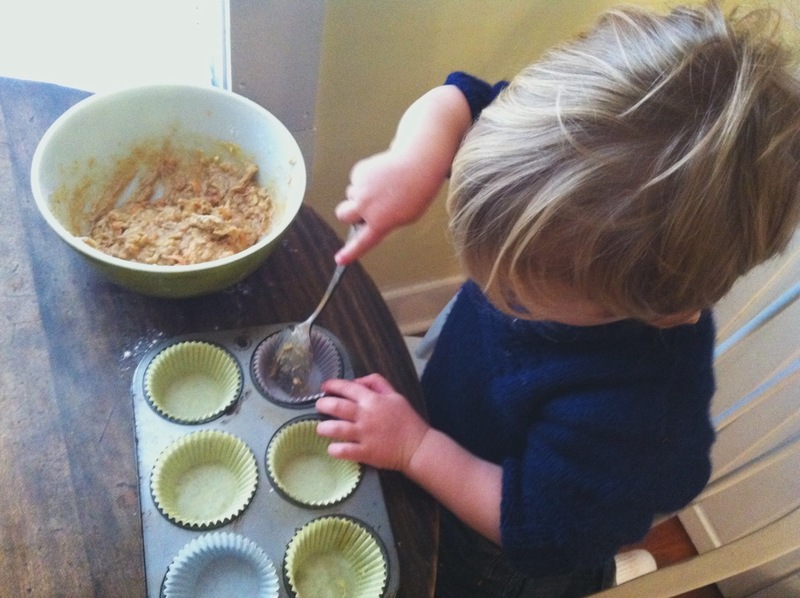 As you can see in the photos above, Samuel was able to do much of the recipe himself. 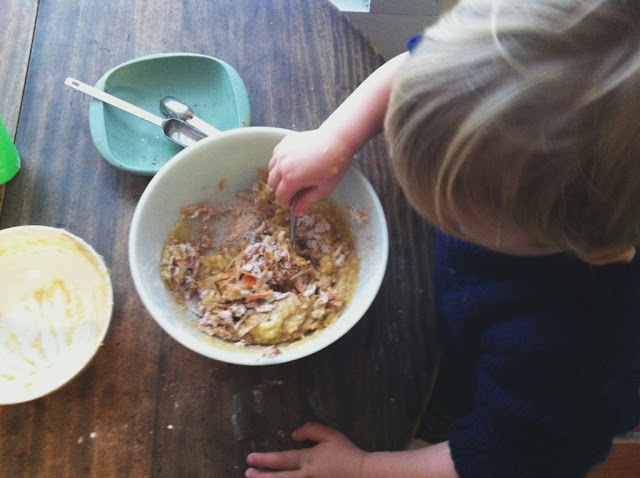 Doing this together helped me realize how ready he is to do more cooking together. Here's to many more adventures in cooking together! 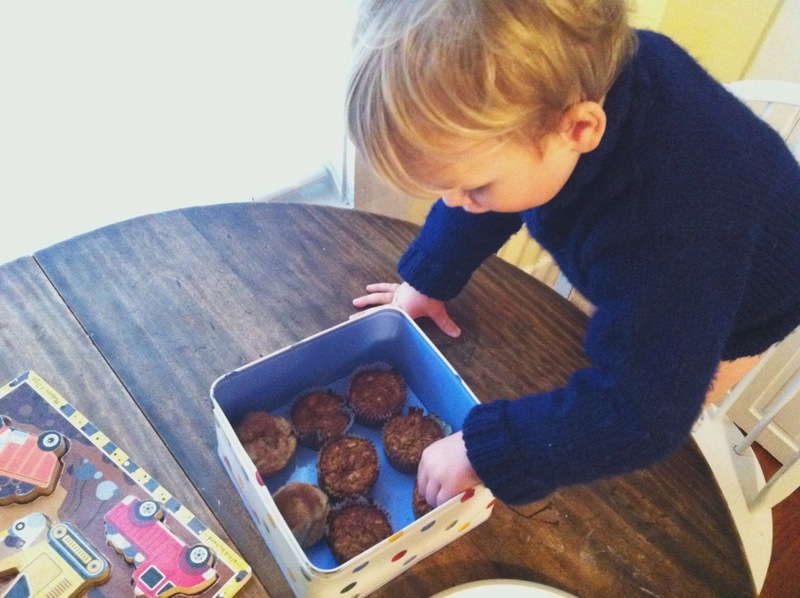 No Response to "Mmmm Muffins"